$24.00 per person which includes tax and gratuity. salad dressing selections and Cookies for Dessert. Also included is Coffee, Iced Tea and Soda. 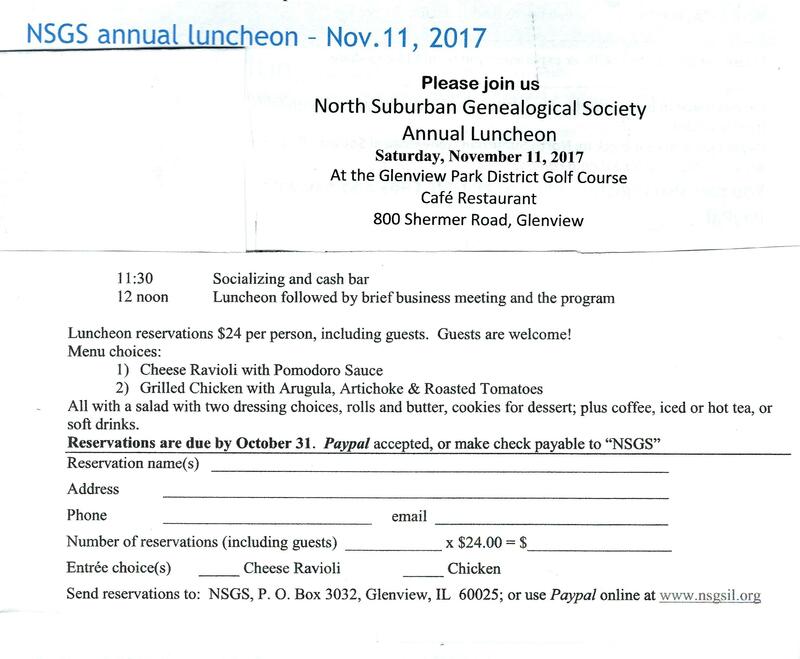 Complete the attached form, and mail with check to NSGS.